Too much space…too much functionality… Have you ever thought this about your home? Probably not! And that’s why every home needs a Murphy bed system, which allows you to open a world of possibilities in any room. Murphy beds are also called wall beds. The term refers to any type of mattress which folds up into a cabinet attached to the wall when not in use. 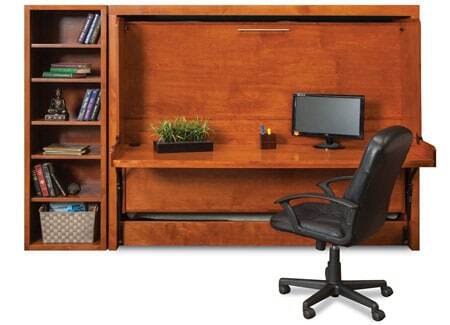 They are easy to operate and instantly transform your space from functional to restful. But, Murphy beds can be so much more than just a place for guests or kids to sleep. By adding functional pieces to the front and/or sides of the cabinet, you can instantly create a whole new purpose for your room. At Murphy Beds of San Deigo, we do more than offer simple, fold-up beds that double or even triple the space in any room of your home. Our design team can take your ideas, wishes, wants and desires and turn them into reality. We specialize in designing and creating custom cabinets and features to solve any problem while adding extra space for working, playing or studying. We invite you to visit our Inspiration page for further ideas on how to incorporate an ingeniously designed Murphy wall bed system into any room of your home. Where Could You Use a Murphy Bed? Not only do our wall bed systems increase the functionality of a room, they look good doing it, too. 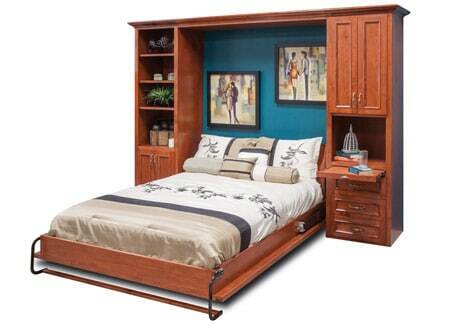 Many of the Murphy beds in our showroom are available in a wide variety of styles, finishes and hardware options. Of course, if you choose a custom wall bed system with your choice of add-ons, the possibilities are nearly limitless when it comes to design details, embellishments, paint color, wood finish and extras such as lighting, electrical outlets, USB hubs and more. All our Murphy beds are made of solid wood and plywood and feature sturdy mechanisms which are backed by a lifetime warranty. Besides multiplying the space in your home and adding functional features to any room in your home, a Murphy bed wall system can add to the overall value of your home. Our custom wall bed systems are made to blend seamlessly with the existing décor. They become built-in features securely attached to the wall for safety. 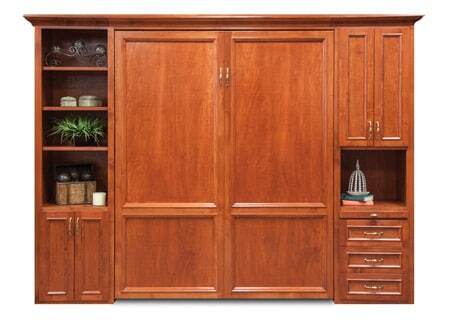 When it is time to sell your home, the Murphy bed becomes of the fixtures, increasing its value. 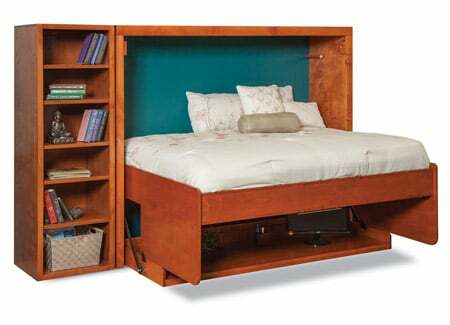 Are you ready to add a versatile, room-enhancing, space-multiplying Murphy bed to your home? Make a selection right here, right now – pick your wall bed style, choose a size, finish color and decide what type of mattress you prefer. 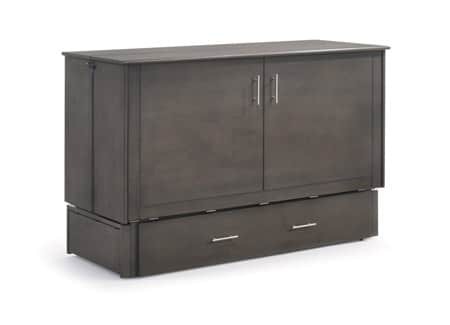 It only takes a few clicks to order a beautiful Murphy bed perfect for your space. Don’t see exactly what you want in this section? 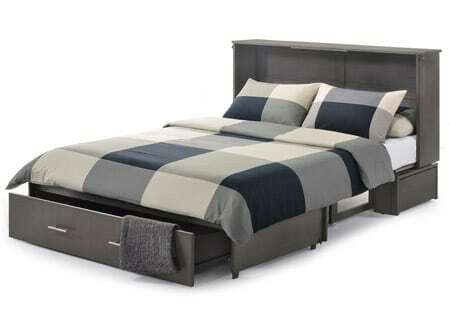 Check out the U-Design wall bed page for further options, including your choice of pier cabinets.